Bible Answers Live is a live radio call-in program where listeners can have their questions answered based on Bible truths. Speaker 1: Welcome to Bible Answers Live where you'll get honest answers to your Bible questions. Let’s face it, it’s not always easy to understand everything you read in the Bible with 66 books and more than 700,000 words, the Bible can generate a lot of questions. If you’d like answers to your Bible questions, you’ve come to the right place. Now, here’s your host, Pastor Doug Batchelor, president and speaker of Amazing Facts. Pastor Doug Batchelor: Welcome listening friends. Would you like to hear an amazing fact? On July 30, 2016, American Luke Aikins became the first person to jump from over four and a half miles up without a parachute and lived to talk about it. In a stunt called Heaven Sent, the 42-year-old parachute safety adviser leaped 25,000 feet to earth setting the world record for the highest jump without a parachute. To accomplish this, Aikins had to use the rushing air currents around him to steer his body and safely land on a special 100-by-100 foot net suspended 20 stories above the ground near Simi Valley, California. During the two-minute free fall, the daredevil reached a 120-miles an hour. As he near the ground with only a second to go, he quickly flipped onto his back and landed squarely on the net without injury. Aikins, with previously done 18,000 parachute jumps, said he’d been preparing for this stunt for over two years. According to The Associated Press, "Just before climbing into the plane to make the jump, safety officials ordered Aikins to wear a parachute but Aikins argued it would make his landing in a net more dangerous and he’d never have a chance to open it. As the plane was climbing to the drop zone, he said the requirement was lifted and he took off the chute." Did you know that the Bible says the devil once tempted Jesus to jump from a lofty height claiming angels would catch him? Stay with us friends, we’re going to learn more as we bring you this edition of Bible Answers Live. Speaker 2: You’re listening to Bible Answers Live, honest answers to your Bible questions. Our phone lines are now open. If you have a Bible related question, call us at 1-800-GOD-SAYS. That’s 1-800-463-7297. Let’s get to our first Bible question with Pastor Doug Batchelor and our co-host Pastor John Ross. Pastor Doug: We’ll be going to the phones in just a moment. You’re listening to Bible Answers Live. If you have a Bible question, lines are open and good chance if you call now, you’ll get your question on tonight’s program and it shouldn’t take too long. Pick up the phone for Bible questions 800-GOD-SAYS, that’s 800-463-7297. I am Doug Batchelor. Pastor John Ross: My name is John Ross. Good evening, listening friends and Pastor Doug, let’s begin the program with prayer. Dear Father, once again, we thank you that we have this opportunity to study together. We ask for your guidance and the Holy Spirit to be with those listening. Be with us Father and lead us into fuller understanding of Bible truths, for we ask this in Jesus name. Amen. Pastor Doug: 25,000 feet, sorry. Pastor Ross: Yes, four miles. Pastor Ross: 25,000 feet out of the plane and not having a parachute and then trying to navigate to a- well, what probably seems rather small when you’re coming out from that height to that speed but landing in a net. Rather remarkable. Pastor Doug: That’s like trying to dive into a cup of water from the Empire State Building- [laughs] and I did parachute once. I did it-- they make you go tandem jumping and so I was attached to someone but we did get the feel of what it’s like to free fall and steer your way through the air and we were up 13,000 feet. For every 13,000 feet, you fall for approximately a minute and I guess he was up where he needed to start out with oxygen and deliberately jumped without a parachute. During World War II, they say you can never get me to jump out of a plane with a parachute unless the plane was on fire but he jump without a parachute and you can be sure that he had practice that many times because he didn’t want to be just tempting the Lord. I think he had a wife and family. He didn’t want to end his life so he is an instructor, 18,000 jumps he'd practiced but then I teased at the end of the fact by saying, "Did you know that the Bible says the devil tried to encourage Jesus to make a high jump without a parachute?” You can read about this in the book of Matthew 4:5. During the three great temptations that the devil brought to Jesus, it says, “Then the devil took him into the Holy City and set him on the pinnacle of the temple.” This is hundreds of feet up and he said to him, “If you’re the Son of God, throw yourself down," and now the devil quotes the Bible, “For it is written, He'll give his angels charge over you, and in their hands they will bear you up lest you dash your foot against a stone.” Here Satan is only partially quoting Psalm 91 and of course, Jesus refused to fall for it. That’s a very dangerous thing to do. Now, some people are facing the temptation all the time. Not just tempting the Lord with unnecessary risks but we meet with the devil every day just like Jesus did. How do you deal with temptation? Maybe you’re struggling as we all do with temptation, friends and you like to know more about how can I have a victory or are there any tips, any clues to gaining the victory over temptation? Jesus, of course, used the word of God. We prepared a book that has 12 of the most popular, Biblical suggestions for how you can successfully resist temptation. Maybe you’re needing freedom from some habit. This book has the tips and the guidance to help you get a new life. Pastor Ross: The book is called, Tips for Resisting Temptation, and we’d like to give this to you for free. All you'll need to do is just give us a call on our resource phone number and the number is 800-835-6747. You can ask for the book called, Tips for Resisting Temptation. That number again is 800-835-6747 and if you have a Bible question, the phone line here to the studio is 800-463-7297. That’s 800-GOD-SAYS, 463-7297. Well, I think we’re ready for our first caller. We've got Kevin listening from Edmonton, Alberta. Kevin, welcome to the program. Kevin: Hi, yes. Hi, thanks for taking my call. Kevin: I just got a question and then I got a super quick question. The first question is regarding the-- in the New Testament, it’s Jesus and another prophet they’re saying is that Jesus is seated at the right hand of the Father. Now, is that a symbolism or is that an actual thing? Because I’m thinking it’s more of a symbolism since Jesus is the word of God so maybe that being in his right hand but I was hoping maybe you could clarify that. Pastor Doug: Well, I believe that Jesus when he says he’s at the right hand, I think that if there’s a geographic position for the throne of God next to the Father it would be at his right hand. Right hand is symbolic also in the Bible of a position of favor or prominence. When the king sat on his throne often the second in command would be at his right hand. It might be his heir, it might be prime minister but whoever was second in power would sit at his right hand. Typically, most people in the world are statistically right-handed. It is their stronger hand, so in the Bible, you’ll always hear it referring to the right hand as a sign of favor. Yes, but there are a lot of places it talks about the right hand. As a matter of fact, I think the phrase right hand is found- I just did a quick search, a 158 times in the Bible. When it says Jesus was seated at the right hand of the Father, I believe there was some form of coronation after Jesus returned from the earth victorious and he was sat down and he was declared victorious over the devil and having his mission of redeeming the earth and probably sat literally at the Father’s right hand during that time. It does symbolize something in the Bible too so you’re right on both counts. Kevin: Okay, perfect and the quick question I have is regarding your news flash I always see-- I guess, I saw a couple of those but they’re pretty old. I’m just wondering if you guys are doing anything more like that or you just stopped. 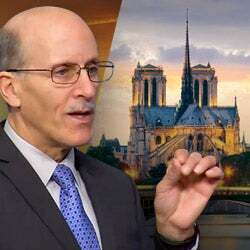 Pastor Doug: No, we’re going to-- well, sometimes we do get behind just because of travel schedules and I don’t want to just do a news flash unless I think there's something worthy. I’m probably not going to delve into talking about what’s happening politically in North America because religion is already divisive enough but we are looking right now at doing a news flash, a prophecy news flash on Christianity and Islam, and just some of the issues that are coming up right now. I'm glad you're watching. We're going to be doing some new ones. Kevin: Okay, I'll keep my eyes out. Thanks a lot. Pastor Doug: Thank you. Appreciate your call, Kevin. Pastor Ross: Our next caller is, Marla? Pastor Ross: Marla, who is listening from Redding, California. Marla, welcome to the program. Marla: Thank you so much. It's a privilege to be involved. Thank you so much for your wonderful answers for us. Pastor Doug: Great. Now, you're up and Redding, and you're getting us on KFIA. That's great. Good reception. Marla: This is how I get to hear you sometimes. Pastor Doug: That's fine. Your question tonight? Marla: Yes. I do have a question regarding Daniel 2:34 and 35, and I think it's also in 44 and 45. It is a stone coming out of a mountain. I'm wondering if there's a connection between Matthew 13 that's also talking about the end of the world, verse 39 through 43. Pastor Doug: All right. Well, let me read this. You wanted me to read Daniel 2:34, you said? Marla: Yes. 34 and 35. Doug: All right. Let me read this for our listeners, "You watch while a stone was cut," Of course, friends, this is the image that King Nebuchadnezzar dreams about. Daniel has the same dream and then he interprets what the dream means. He says, "You watch while a stone was cut without hands, which struck the image on its feet of iron, and clay, and broke them to pieces." Now, let me just pause and say something about that real quick, Marla. The Hebrews were not to build idols. The whole vision that represents the kingdoms of the world is a great idol. It's talking about false structure. God's altars, when they built it out of 12 stones, they were not to lift up their tool on it because they'll be tempted to carve it into animals or something. He said to stay rough stone and without being cut by man's hands. When it says, "A stone cut without man's hands," it's also an allusion to what Moses said about when you worship God, don't lift your chisel upon it. It says that verse 35, "The iron and the bronze, and the silver, and the gold were crushed together after the stone falls upon them. They came like the chaff from the summer threshing floor, it's hot and dry, and light, and it blows away." It's saying that all the kingdoms of the world will not exist but the kingdom of God, the stone, grows into a great mountain and fills the earth. Meaning the kingdom of God will ultimately triumph. "Blessed are the meek, they will inherit the earth." Pastor Ross will then read the corresponding verse in Matthew. Pastor Ross: You know what, Pastor Doug, I'm going to read another verse just before we get to the one in Matthew because I thought of something while you were talking. Jesus actually refers to this imagery of a stone and he connects it to his second coming. 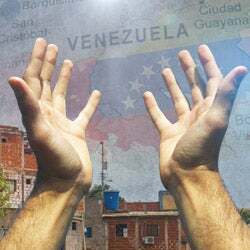 In Matthew 21:43, Jesus said, "Therefore I say unto you, The kingdom of God will be taken from you and given to a nation bringing forth the fruit thereof." Then verse 44, Jesus said, "Whoever falls on this stone will be broken, but on whomever it falls, it will grind him to powder." There's a direct reference to what you read there in Daniel chapter 2 about the stone representing the kingdom of God striking the image and grinding all the metals to powder. I think it's an interesting power over there. Pastor Doug: Your other reference you said was in Matthew, was it 24? Marla: It was Matthew 13. Pastor Ross: Matthew 13:39? Was that the verse? Pastor Ross: Let me read a little bit of this. It says, "The field is the world, the good seed are the sons of the kingdom, but the tares are the sons of the wicked one. The enemy who sows them is the devil and the harvest is the end of the age, and the reapers are the angels. Therefore as the tares are gathered and burned in the fire, so will it be at the end of this age." Pastor Doug: Yes. They're both talking about a judgment, Marla. One is the stone judging the kingdoms of the world. If we're not part of God's kingdom, we're judged, just like the chaff and also like the weeds or the tares that are gathered and burned. Is that what you're wondering about the correlation? Marla: Yes, sir. I'm wondering because, in the process, harvest happens and then threshing happens. I'm trying to understand if this is a judgment that actually happens like it says, "He that is unjust, let him be unjust still. He that is pure," and so forth. That happens way before he comes. My question's related to the way the Bible seems to put it in an order. First, there's a harvester angel, without him, to think we said-- It's like it's not anything man is doing, this is God. If the angels can be the ones that are separating the chaff from the weeds, that looks like a judgment, if possibly. I mean, I'm not sure. Pastor Doug: When you both in Daniel 2 and in Matthew 13, it's talking about the judgment. The metaphor of a harvest is used even in Revelations. Jesus is pictured coming with a sickle to harvest. It talks about not only the harvest of wheat, it compares the judgment to the harvest of wine. Because it says that-- we've all heard that song, "Glory, hallelujah, trampling out the grapes of wrath," which is a quote from the Bible. That was the end of the farming season was the harvest. Jesus, and the apostles and prophets, often talked about the judgment, the end of the season of farming. Jesus said, "I'm sowing the good seed that's the word of truth." Then there's a judgment at the end of time. Yes. You're on the right track. I want to put too much into the order of the angels and the mountain and trying to correlate all those because I think these are just sort of sweeping metaphors that Jesus used. The angels, of course, they are participating in the judgment and in the redemption and rescue of God's people before the final fires fall. Pastor Ross: All right. well, thank you for your call, Marla. We're going to move to our next caller. We have Mica listening in Miami, Florida. Mica, welcome to the program. Mica: Hello Pastor Doug, Pastor Ross. I guess I'll go straight to it. My question I suppose is a bit simple and a bit broad. I recall your verse that says that, if a man to keep stand-- I think it goes, "If a man takes a stand, take heed lest he falls," and just touching on another subject. I know that the whole idea of once saved, always saved isn't really truth or isn't really scripturally-based anyway. My question is quite simply, how does one have assurance of salvation? How can one have assurance of salvation? Because sometimes it feels like every time I want to feel assured, if you will, there's always something new to think about. I don't know if that makes any sense? Pastor Doug: No, I think it does. There's really a balance. First of all, how can you know? The Bible says, "The just will live by faith, and so it's by faith that we believe and we are saved by faith." At the same time, the Lord doesn't want us to have a presumptuous or reckless faith. Most of our faith is based upon some evidence. I mean, even David, when he went out against Goliath, he had faith he could kill a giant. But one reason he had faith, he said, "Well, you know, I had to do this once with a bear and, again, with a lion." He said, "And as I have faith to believe the same God that helped deliver me from a lion and a bear can help me with the giant." He had faith but it was based on evidence. Our faith is based on the evidence of God's promises. God promises, if we repent and confess our sins, he is faithful and just to forgive us and cleanse us from all unrighteousness. We believe his promise that if we continue to abide in him, he will not let go of us. That if we follow him, that he will lead us all the way. He is the way, the truth, and the life. It's a faith in Christ that he'll finish what he started in your life. That gives us assurance. Pastor Doug: No, I think I know what you're saying. John makes a statement about if our hearts don't condemn us, we have peace with God. Some might substitute the word conscience there. For our conscience is always bothering us, how can we have peace with God and how can we have faith, and how can we have assurance. Pastor Ross: Pastor Doug, we have a book. I was just looking through our free library again. It's a book called Assurance, and it deals with this called justification made simple. I think, Mica, you will enjoy it. All you have to do is just call us on our resource phone number, ask for the book written by Pastor Doug that's called Assurance. A lot of scripture references there. The number to call is 800-835-6747. You can ask for the book again called Assurance, 800-835-6747, that is the resource phone number. The phone number here to the studio is 800-463-7297 with your Bible question. Our next caller is Robbie listening from Huntsville, Alabama. Robbie, welcome to the program. Robbie: Oh yes, thank you for taking my phone call. I have a question. I was wondering and wanted to find out if the Jews, the children of Israel. Will they be able to be saved and go into the kingdom of heaven if they do not accept Jesus as Lord and Savior, Messiah and the son of God? Pastor Doug: Well, obviously there's going to be Jews in the kingdom. From the time of-- let me just clarify something. When we talk about the children of Abraham, there were many children of Abraham that were not Jews, they were Hebrews. Technically, all Muslims are children of Abraham. But from the time of Jacob, he had a son named Judah. Judah became one of the big tribes. Jews were technically the descendants of Judah but most people say the word Jew now to encompass anyone from the 12 tribes of Jacob. 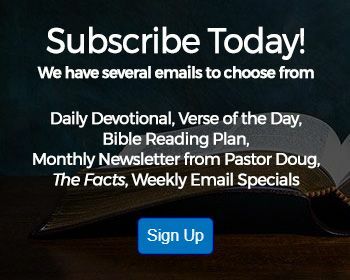 Pastor Doug: From the time that God made the promises to Abraham, Isaac, and Jacob, there was a lot of Jews that never-- they didn't live during the time of Christ, they'll be saved by faith looking forward to the coming of the Messiah. There may be some Jews that will be saved that lived after the time of Jesus that did not accept Jesus because they didn't know. You can even see during the New Testament times, not everybody had the internet. I think the book of Acts chapter 19, there were 12 Jews living up in Ephesus that had been baptized by John the Baptist but they hadn't heard about Jesus yet. After Paul preached about Jesus to them, they were baptized and filled with the Holy Spirit. Jews, from the time of Christ, they're not saved in any differently than anybody else. In other words, God doesn't have three levels or three different kinds of rules for salvation where pagans will definitely going to be lost without Christ. They just go directly to hell without passing go. Jews they are in kind of a limbo condition because they've got some Jewish DNA, they get a pass even though they don't accept Jesus. It doesn't work that way. The Bible says God is no respecter of persons. It doesn't matter whether you're Jew or Gentile. They're going to be-- there were people at the foot of the cross, Jew, and gentile saved and lost. It's all based upon, does the person believe in the gift that God gave? Nobody is saved by virtue of their blood or their DNA. God has made of one blood all nations. Now, God made a promise to the Jewish nation. But he wasn't saving them, he often delivered them as a nation. But individuals within that nation could be saved or lost based on how they followed God. Did that make sense? Robbie: That has helped me so much. It's always been beautiful question. I guess I've pondered it quite a bit. Now, I just thank you for that opportunity to finally get some light and clarity. Thank you so much and God bless you. Shalom to your ministry. Pastor Doug: Well, thank you. We've got a book we'll send you that talks about this. It's called Spiritual Israel. We'll send you a free copy if you ask. Pastor Ross: The number to call is 800-835-6747, you can ask for the book called Spiritual Israel. Again that number 800-835-6747. And the phone line here again in the studio is 800-463-7297. We've got Keith listening from Alaska. Keith, welcome to the program. Keith: Thanks. I have a question about Hebrews 9:2. Pastor Doug: Okay. We're going there now. What is your question? Do you want us to read that? Kieth: It speaks of the altar of incense behind the curtain. Pastor Doug: For that, let me read this. I'm reading right now from the New King James Version. It says, "For a tabernacle was prepared, the first part in which was the lamp stand, the table, the show bread which is called the sanctuary. Behind the second veil, the part of the tabernacle which was called the holiest of all, in which was the gold incense around the arch of the covenant overlaid on all sides with gold. In which was the golden pot," and it had a man that was talking about the arch. When people read this, typically they are wondering, "I thought that the altar of incense was in the holy place. The first two compartment." Here it seems like Hebrews and Paul is saying that the altar of incense is in the second compartment. Is that what you were wondering? Pastor Doug: Well, I'll tell you. The altar of incense had handles on it. Whenever they were ministering before God, the priest would put incense on the altar. Once a year, on the Day of Atonement, they actually carry the altar of incense in or pushed it in. I don't know how they got it in there, inside the veil. Maybe the priest did it because it was only one cubit by one cubit. Whenever they ministered before the Lord, there was incense on the altar. On the Day of Atonement, better known as Yom Kippur, the altar would be found in the holy of holies. In Hebrews, when Paul was talking about this, he is often speaking in the context of the Day of Atonement. That's the answer that I've heard from good scholars both Christian and Jew. [crosstalk] Typically, through the year, the altar of incense was going to be in the holy place. The first apartment, right by the curtain. On the Day of Atonement, it was pushed through the curtain. As the priest went into minister, he always had incense to come in before the Lord. That's the answer that's been given me and I've been satisfied with it. Is that what you heard Pastor Ross? Pastor Ross: That's right. Yes. The connection between the altar. For most of the year, it appears the altar of incense was just before the veil that separated the holy from the most holy. There's also a close connection between the function of the altar of incense as it relates to the most holy place, where the incense was offered and wafted over into the most holy place. Sometimes, the altar was associated more with the most holy place with reference to function than the holy place. That's another reference as to why in this description in Hebrews it's placed in the most holy place by the arch. Pastor Doug: Yes. Even just the practical side of the sanctuary services, in the wilderness they were dealing with a portable tent. When Solomon built the final temple or the main most glorious temple, it was a little more elaborate. A matter of fact, the arch sat under- the arch had two angels on the top. But also, in Solomon's temple, it sat under two gigantic angels that wings overspread the arch place. It was beautiful spot with a even more information. More glory and probably a little more sophisticated when Solomon built his temple. Pastor Ross, we have a lesson that talks about God drawing the plans and we'll be happy to send you that, Keith. All you have to do is call Amazing Facts. That number 800-835-6747. We'll send you the lesson, God Drew the Plans. More Bible questions coming. Pick up your phone and call. Speaker 1: Stay tuned. Bible answers live will return in a moment. Female Speaker: I really wanted to start a new devotional habit but, life got in the way. Next thing I know, we're a month into the new year and I'm like, what's the point of starting? Then I saw 365 Amazing Answers to Big Bible Questions. Each day is a single study, so you can start anywhere on any day and not miss a thing. They're crisp, clear and enlightening. Speaker 3: Amazing facts through your faithful support has had a major impact on some of the largest non-Christian locations in the world. Beyond the great wall, the printing and translation of our books and video materials are in constant motion. Speaker 3: The Amazing Facts Chinese website is now one of our most visited websites. We also translated thousands of pieces of literature for these nations. What started out as hundreds of followers is now in the hundreds of thousands. The impact of your funds invested in sharing the everlasting gospel in these foreign lands will be felt for years to come. 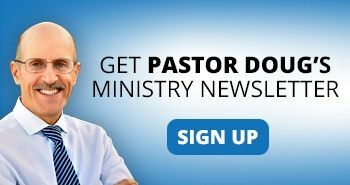 Pastor Doug: Every week, we hear the most incredible stories from all over the globe of lives that are being changed and hearts that are being transformed by the power of the word. None of it could happen without your teamwork with this ministry. God Bless you. Speaker 1: Every Bible question you have answered moves you one step closer to the fullness of God's will for your life. What are you waiting for? Get the answers you need for a fuller, richer, more confident life. You're listening to Bible Answers Live. We still have a few phone lines open. If you have a Bible related question, call us at 1-800-GOD-SAYS. That's 1-800-463-7297. Now, let's join Pastors Doug Batchelor and John Ross for more Bible Answers Live. Pastor Doug: Welcome back, listening friends. If you are tuned in somewhere along the way, you are listening to Bible Answers Live. It's a live international interactive Bible study program. We're all part of a big Bible study family, and we enjoy visiting with you every week. We do have a couple of lines open. If you want to participate with the Bible question or some question about living the Christian life, we'll do our best to search for the answers together. The number 800-GOD-SAYS, 800-463-7297. That's 800-463-7297. I'm Doug Batchelor. Pastor Ross: My name is John Ross, and we're going to go the next caller. We have Edward who is listening in Galt, California. Edward, welcome to the program. You're on the air. Edward: Yes. Good evening, gentlemen. Edward: Hi. My question. Is there a rapture prior to the second coming? Pastor Doug: Well, let's just be clear about what we're answering. The word rapture means to be caught up with power. Sometimes a person might say, "I was in rap glory with listening to the music." It means I was just caught heaven word in the glory of the music. Will there be a rapture before the second coming? The Bible tells us in 1 Thessalonians chapter 4, it's really clear, "The Lord himself will descend from heaven with a shout, with the voice of the archangel, and the trumpet of God and the dead in Christ will rise. Then we which are alive and remain will be caught up," and that's the rapture right there, "Will be caught up to meet them in the air and so shall we ever be with the Lord." It is at the Lord's coming we are caught up. It's really clear, dead, rise, it's a resurrection, the trumpet, the second coming trumpet. The day of the Lord is in a common, we're caught up to meet him. We don't believe that there is a seven-year tribulation between the rapture and the second coming. That is a fairly popular new belief. When I say new, if you read Christian literature from the time of Christ until a hundred years ago, all of the scholars and theologians, and preachers believed that the second coming of Jesus was when we were caught up. The idea of there being a seven-year tribulation after the rapture is a fairly new belief. It came out of Darbyism. I still believe the old belief. I think as Pastor John does that there is a tribulation but the tribulation comes before the second coming. Part of the reason for that is, the Bible says, "It is through much tribulation we enter the kingdom of God." There's no promise that the church is not going to experience any tribulation. God saved Israel not from the 10 plagues but through the plagues that fell on Egypt. God is going to save his church when Jesus comes through the seven last plagues. He protected them, but they were in Egypt when the plagues came and God will protect us when plagues fall on the world. Jesus said, "He that endures to the end will be saved." Endures what? Obviously, tribulations. I don't know if that's helping me answer your question, Edward. Edward: Absolutely it is, Pastor Doug. At least there's some hope in there, little concerning. Pastor Doug: Well, I'm not at all worried about the tribulation. I just want to be faithful. God promises he'll not allow us to be tested above what we're able. With every temptation, he'll provide a way of escape. I'm not so worried about how will I endure the last days as I am, how will I endure being a Christian tomorrow? I just want to be faithful day by day, and if we're faithful in little things, and the Bible says, "He that is faithful in that which is least will be faithful also on much." Pastor Ross: We have a book called The Secret Rapture. It actually gets right into this and explains what the Bible has to say about the second coming. We'll be happy to send this to you Edward or anybody who calls and ask. The number to call is 800-835-6747. That is our resource line. You can ask for the book called The Secret Rapture. Again, that number is 800-835-6747. Pastor Doug: Thank you, Edward. Pastor Ross: Thanks, Edward. Our next caller is Rick, and he's listening in New Jersey. Rick, welcome to the program. Rick: Hi, Pastor Doug. I have a question about King Saul. When King Saul went disguise himself, went to the Witch of Endor, and he wanted to speak to Samuel, and Samuel came from the grave and foretold of Saul's death the next day. Knowing as a Christian, well, knowing that it's wrong to go to mediums and psychic and what not. I also wonder why God allowed Samuel to return from the dead, to speak to Saul in that encounter. Pastor Doug: Well, I don't believe it was Samuel. I know Pastor Ross knows there's another verse I think it's in Chronicles where it talks about Samuel and Saul. Based on what you see happening in the story from our friends that are listening, you find this at the end of 1 Samuel just before King Saul dies. He goes to a witch, and the witch conjures up supposedly the ghost or the spirit of Samuel. Well, the devil doesn't have power to call God's prophets back to life, but the devil does have power to create illusions. The Bible talks about lying spirits and evil spirits that work miracles. Then we have every reason to believe this was a lying spirit that was impersonating. Just like the devil will impersonate Christ, this was a lying spirit that was impersonating Samuel the prophet. Pastor Ross: Yes, we have a verse in 1 Chronicle 10:13 where it's talking about Saul, and it says, "Saul died for his transgression which he had committed against the Lord. Even against the word of the Lord which he kept not, and also for asking counsel of one that had a familiar spirit to inquire of it." There, it refers to it as being a familiar spirit. It's not the prophet Samuel but it is an impersonation of Samuel, and familiar spirit in the Old Testament is really a demon or a devil, masquerading as a dead, love one, or person. Pastor Doug: Well, that was good. Pastor Doug: When I was growing up, I had a big thing back then. We used to do a seance and see if we could conjure up, go through these incantations. I was not a Christian back then. We would try to conjure up these famous people from history, and we all would like trying to talk to Abraham Lincoln or Houdini or Napoleon, or somebody. Boy, I tell you, with all the seances going back then I don't think that Lincoln and Napoleon could have kept up with all the appointments. Pastor Doug: The devils are creating illusions, and they're moving things around and supposedly speaking through people. That's why God forbids that. He said, "If you want a message, why would you talk to the dead?" If you want a message, a divine message, and you speak to the Lord, and you ask of the Holy Spirit that God guides you. We don't consult dead people. When Saul did that, he had already aggrieved with the Holy Spirit. We have a lesson that talks specifically about this and it's called Are The Dead Really Dead? It talks I think about the Witch of Endor. Pastor Ross: The number to call is 800-835-6747, and you're going to ask for the study guide called Are The Dead Really Dead? Again, that number is 800-835-6747. Our next call is Virginia listening in California. Virginia, welcome to the program. Virginia: Hi. Good evening. Can you hear me? Pastor Doug: I was in Calimesa or down near there just yesterday, this morning as a matter of fact. Virginia: Wonderful. My question is in regards to in Romans 3:28. I've been reading about the law, and in regards to the state without the deeds of the law, and then I was reading Mark chapter 3:20, "For by the law is a knowledge of sin." Is the law, the earthly law. Because as long as-- if number, it talks about in chapter 6, "For sin shall not have dominion over you. For you are not under law but under grace." What these all just talking about? I'm a little confused. Pastor Doug: That's a great question. First of all, don't feel bad if you're a little bit confused about this. Some of the deepest theology in all the Bible is in Romans chapter 5 through 8, and Paul is speaking in very lofty terms. First of all, when Paul says we're not under the law, of course, it does not mean that Christians are under no obligation to obey the 10 commandments because you would never hear Jesus say, "Now that you're Christian, you can lie and kill, and steal." When he says you're not under the law he means, "The penalty for disobedience is sin." He says this in Romans chapter 6. The wages of sin is death. When we accept Jesus we're no longer under the penalty of the law. Paul is talking about, "Through grace, we are saved from that penalty of death. We are no longer under the death penalty of the law, and now we keep the law not to be saved but because we love the Lord and we are saved." That's why Jesus said, "If you love me," John chapter 14, "keep my commandments." It's now out of love. The law shows us our sin. Nobody is saved by the law. The law is really there. It stands to highlight our sin. I remember when my kids were young and they weren't brushing their teeth correctly. The dentist gave them this toothpaste and they brushed with this almost looks like a fluorescent toothpaste and it made any plaque in their mouth turned bright pink. They could then look in the mirror and grin and say, "Wow, look at all these spots I'm missing." They thought it was neat but then it made them feel guilty because they thought, "Boy, I'm not brushing very good." Well, the law is there to help us recognize our need of God's power to live a holy life. We can't do it without his power. Paul says the law is just unholy and good. We've actually got a book that explains this whole subject. Pastor Ross: Yes. The book is called Does God's Grace Blot Out The Law? It's dealing with Romans chapter 8. We'll be happy to send this to you Virginia or anybody wanting to understand this passage. It's an important passage. Pastor Ross: The number to call is 800-835-6747. You can ask for the book called, it's got a long title, Does God's Grace Blot Out The Law? We'll send that to you for free. Again, 800-835-6747. Ask for the book Does God's Grace Blot Out The Law? and we'll get that in the mail to you. Pastor Doug: Thank you Virginia and that lesson, by the way, you can read that book online at the Amazing Facts website which is as you would guess amazingfacts.org, .com, .net, .tv. There's a lot of ways to go there. Amazing Facts. Just Google it and you'll see our YouTube as well but we have that book in our free library Does God's Grace Blot Out The Law? You can read it there. Pastor Ross: Our next caller is Sarah listening from Orlando, Florida. Sarah, welcome to the program. Sarah: Hi. Thank you. My question is about the Sabbath. I know the Sabbath is Friday sundown to Saturday sundown. We're not supposed to work on the Sabbath. I don't want to work on the Sabbath because I do want to show God I love him by obeying his command. I don't have a college degree and it's hard to be able to provide for myself and pay for rent and things like that. I'm about to get offered a position where I'm going to have to work on the Sabbath a lot. I know the Bible talks about you can do good on the Sabbath so would this be considered okay since I'm doing good as far as being able to provide for myself and be self-sufficient? Pastor Doug: Well, now let's talk about that for a second. Are the commandments optional? If we're not careful Sarah we can probably rationalize anything. I've actually heard men say, "Well, I know it says don't commit adultery but I'm out on the road on business trips and God knows men has got to be a man." They start rationalizing that there's times when a little bit of adultery is okay and I go, "No." [laughs] I don't think his wife would understand that either. When God says, "This is my day and I want you to rest," that doesn't mean you'll never be tested. There are times when we're going to be tempted to lie to try and cover up something or to make life easier for ourselves or whatever it is. You might be sound a little older than I am so I can get Denny's discount. There's always reasons to rationalize and this may be a test, Sarah and I was in the same boat as you were. I had a family. When I learned the Sabbath truth I thought I got this great job offer. I thought, boy, and they said, "You only have to work for six months on Sabbath and already you get seniority so you can pick your schedule." I thought, "Well, I can't." I said it's a commandment of God so I can't do it. What I think of Sarah when-- and I know that might seem like an austere answer. You know the story in the bible where Shadrach, Meshach, and Abednego. The king said everybody bow down to this idol and if you don't bow down to the idol not only will you be unemployed you're going to die. Shadrach, Meshach, and Abednego said, "Well, idolatry is just a little thing. I mean I'm just bowing to-- I could tie my shoe and just pretend I'm bowing down but really just be tying my shoe." They don't want to bow down. They won't even look like they're bowing down. When the music played and everyone bowed down they stood up because the commandment said you're not to pray to idols. You'll not bow down to them. They got thrown in the furnace but God protected them and he saved their lives. They said even if God doesn't save our lives we're going to obey His commandments. Same thing happened to Daniel. In chapter 6, he had to choose am I going to close my windows and pretend that I don't worship God anymore and that I am praying to the king? The first commandment said, don't have other Gods. He said, "No, I'm not going to close my windows. I'm going to go to the lion's den." You're facing a similar test now. If you believe in your heart that the 10 commandments are not just suggestions but they are commandments of God, you might have to have faith and say, "Lord, I'd like a miracle right now. I need this job but I want to put you first." If you're still struggling about whether it's true or not that's a different issue but when you know- sin is knowing to do good and not doing it. Sarah: Yes. I think one of the things that's making me doubt is Jesus talks about it's okay to do good on the Sabbath. That's why I was thinking, "Well, I am doing good by being able to provide for myself, a place to stay and food and whatever so I asked why. I guess that's what's got me. Can you explain that? What are the things that, "Okay, you do good then on the Sabbath." Pastor Doug: Yes, it's a good question. Whenever Jesus did good on the Sabbath he was healing people, teaching people. You'd never found Jesus in the carpenter shop earning money because it's a day. If the commandment is specific about anything it's that they not to do remunerative labor where you're working for your living. God says six days thou shalt labor and do all thy work. What you're talking about right now is a job that involves your work. He said but the seventh day it's a holy appointment for us. It's holy to the Lord. Can you let us send you a free study guide on that, Sarah? Sarah: Yes. That'll be great. Thank you so much. Pastor Doug: It's called Lost Day In History? Pastor Ross: Yes. Lost Day Of History is what the study guide's called. Pastor Doug: Yes. You just call this number, we'll send you a free copy and we'll give you a website for anyone who's asking these questions. A lot of Christians are asking about the Sabbath Truth. Pastor Ross: Yes. Absolutely. To receive the study guide just call us on our resource phone number. It's 800-835-6747. You can ask for the study guide called The Lost Day Of History. Even- I guess better than this study guide, also a great study guide is our website called sabbathtruth.com which has got the study guide plus a whole lot of additional resources that I think you'll find very helpful, Sarah, as you study this further. Just go to sabbathtruth.com. Sarah: Thank you so much. Pastor Doug: All right. Thank you. We'll be praying for you. Pastor Ross: Our next caller is David listening from Brooklyn, New York. David, welcome to the program. Pastor Doug: Hi, David. You're on. David: Hi, Pastor Doug and Pastor Ross. Concerning some of the plague that are in the book of Revelation. I've been reading on the internet all over the internet and YouTube. There's a whole bunch of people that believe that this year there's going to be a crippling financial crisis. Nobody's going to have money in the bank. Everything is going to be chaotic and that's going to be followed by martial law throughout the whole United States. Do you think that's possible and could that be somewhat of a plague? Pastor Doug: First time I heard that was in the '80s. A lot of friends they said that there's going to be a meltdown and they're building POW camps for American citizens and take all your money out of the bank. It's been forecasted almost every year for years. Now, someday that will happen. I think we've got to be careful not to be living on pins and needles and biting our fingernails and fretting. I know that a lot of people said and including their Pastor John Hagee that there's going to be this blood moon last September and the whole world was going to implode and Israel was going to be attacked and the banks are going to crash. That will probably happen someday but none of it happened. I know folks that have lost their fortune cashing out all of their CDs and they lost all those interests because they got scared and none of it happened. I know other people that if they've sold everything and they've moved out the country and they don't have a job and they just thought I'm going to have to live off the land. Then pretty soon they've fire and winter comes. [chuckles] They're not really ready for country living and they've lost all their equity. I think you got to be careful. Just really make sure the Lord's guiding you. If you read the internet you're going to find-- First of all, if you've got an ache or pain don't go to the internet because you're going to think you're dying. [laughs] I got tired looking at the internet, I said, "Oh man, I've got some disease. I can't pronounce it. I didn't realize I had. It's probably just a headache." You're going to find everything on the internet. You got to be careful. It's a tree of good and evil. The day is going to come, David. The plagues are going to fall. I can't predict it's going to be this year. Things in the condition in the world right now are looking very dire. Things, religiously, looks like tensions are mounting with threats of war and terrorism. Economically, it doesn't look like it's stable. I think you've got to occupy. Jesus said we've got to stay busy until he does come. Being a Christian is not just about trying to save yourself. It's about wanting God to use you to reach others. I remember reading about when the Bubonic Plague went through Europe. There were so many Christian missionaries. They said, "Well if the plague is in that town, we're going to run and save ourselves." Some of the missionaries said, "We're going to go into the city. We're going to help the people with plague or leprosy." They exposed themselves. Yes, there's going to be a hard time coming. What can we do to win souls in the meantime? That's the big question. Don't know when it's going to come. Don't believe everything you read on the internet. Birds are falling out of the sky and they say that that's a plague. Then they say an asteroid is going to hit the Earth any day now and that's the flaming mountain of Revelation. You know what I mean? You got to be careful. You know what I'm talking about, Pastor Ross? Pastor Ross: Absolutely. There's no end of rumors and interesting interpretations of prophecy. the verse in the Bible that says no prophecy is of a private interpretation. We need to let the Bible interpret itself. You can look at the symbols and apply all kinds of things but, having said all of that, I think the Bible's also quite clear that we need to be ready. We need to have that connection with Christ. For no man knows the day or the hour. These things can come rapidly. The final events, we believe, will be rapid. Pastor Doug: Yes. Jesus said, "In such an hours you think not, the Son of Man comes." Anyway, hope that helps a little bit, David. We appreciate your call. We do have that book Anything But Secret you would enjoy. Pastor Ross: The number to call for that is 800-835-6747. You can ask for the book called Anything But Secret that's talking about the second coming. Again, 800-835-6747. Pastor Doug, I'm wondering, do we have time for another caller? We're looking at our engineer. Pastor Doug: Two and a half minutes? Sure. Let's try. Let's get going out here. Pastor Ross: All right, we got Caleb listening in Michigan. We have about two minutes, Caleb. Caleb: Okay. Great. My question is about eternal security. Once saved, always saved. That you become a child of God and that son should be revoked. If you choose the way to this world over the ways of Christ, and him as the way, the truth and the light. Pastor Doug: Yes. We believe the Bible teaches that you're always free to choose the Lord. He will never let go of you. But we don't lose our freedom to turn away from him. There are many examples in the Bible of believers that did turn away. Judas once walked with the Lord and he was full of the Holy Spirit. Some would argue, "Well, he never really was saved." Jesus sent him out preaching and miracles were done through him. King Saul was filled with the Holy Spirit. He prophesied. Balaam was a prophet. All of them were lost and because they turned away. Pastor Ross: We have a book called Can a Saved Man Choose to be Lost? We'll be happy to send this to anybody who calls and asks. Again, 800-835-6747. You can ask for the book Can a Saved Man Choose to be Lost? Pastor Doug: Caleb, I hate to cut you short and listening friends if we did not get your call tonight. Please give us another chance. God willing, we will be back with more Bible questions and Bible answers. Don't forget to go to the website, amazingfacts.org. Now, before you sign off, we've got another Amazing Facts coming, so stay tuned. Speaker 3: Thank you for listening to today's broadcast. We hope you understand your Bible even better than before. Bible Answers Live is produced by Amazing Facts, a faith-based ministry located in Sacramento, California. Speaker 4: Can't get enough Amazing Facts Bible study? You don't have to wait until next week to enjoy more truth-filled programming. Visit the Amazing Facts media library at aftv.org. At aftv.org, you can enjoy video and audio presentations, as well as printed material all free of charge 24 hours a day, 7 days a week, right from your computer or mobile device. Visit aftv.org. Speaker 5: If you'd like to enhance your study of God's word, visit our website at www.amazingfacts.org and sign up for our free Bible study course. 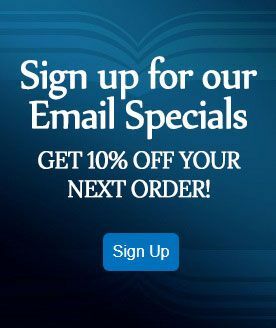 Make sure to check out our online bookstore at afbookstore.com which offers thousands of inspiring books, DVDs and more, to help you get the most out of God's word. To take advantage of the offers you've heard on this broadcast, call us at 800-835-6747, or visit our website at amazingfacts.org. Did you enjoy this program? Make sure to tell your family and friends. Tune in next time for more Bible Answers Live. Honest and accurate answers to your Bible questions. Pastor Doug: Friends, have you ever heard of the bowhead whale? This enormous Leviathan is the second largest creature in the world. Dark and stocky, it roams the fertile Arctic Northern waters. These massive creatures can be more than 65 feet long and weigh more than 75 tons. That's heavier than the space shuttle. Yet in spite of their titanic size, they're able to leap entirely out of the water. Can you say belly flop? The bowhead whale gets its name from its bow-shaped skull and they've got one ginormous nugen. Matter of fact, their heads are about 40% of their body size, which comes in handy when you find out how they use their heads. They've got very thick skulls. Sometimes, they get trapped under the surface and they use their heads to ram the ice. They can break a breathing hole in the ice that is a foot and a half thick. Friends, you have to just imagine what it would be like to be walking around on the Arctic ice and all of a sudden have the ground beneath you crack, and split, and rise, as one of these sea monsters, pushes its head up to breathe for the first time in 90 minutes. Because bowheads make their home in the coldest part of our world, they have the thickest blubber of any whale. But this cluster-friendly and curious nature made them prime targets. When the European whalers discovered the bowheads, they hunted them nearly to extinction. Fortunately, because of conservation efforts, we've slowly seen their numbers begin to increase since the '60s. One of the most amazing facts about the bowhead whale is its longevity. Scientists have discovered, by evaluating harpoon tips found in their skull, and examining their eye tissue, there are bowhead whales out there that are probably over 200 years old. You realize that means there are bowhead whales swimming the oceans right now that were alive before Abraham Lincoln was elected president. Can you imagine that? Among the other amazing mega facts about the bowhead whale, is its mega mouth. They have the largest mouth of any in the animal kingdom. When they open their pie-hole fully extended, it's large enough to park a medium-sized SUV inside. Yet in spite of the fact that they've got big mouths, they survive by eating the very smallest creatures in the ocean. Plankton, krill, and other microscopic animals. Friends, I'm always amazed by the creatures God has made. This bowhead whale is able to dive to the deepest oceans. They can break through the ice and move mountains with their head, and completely leave the water and fly through the air. Yet they do all that by gaining strength from almost microscopic organisms. Helps us remember that we survive through the little promises in God's word. Jesus, when tempted by the devil, he quoted just a few little verses and he sent the enemy running. You can also have that same durability and long life as the bowhead whale by trusting in God's word and his promises. For over 50 years, Amazing Facts has shared the wonderful news of salvation and provided millions of Bible resources to people all over the world. We built churches in India, proclaimed God's word in China, and have sent free Bible studies around the globe. Today's program and free resources were made possible by our ministry partners, caring individuals like you. If you've been blessed by Amazing Facts, would you please consider partnering with us to reach others with the Bible truth. Your financial support today will help keep programs like this on the air, so the blessings you've received can be shared with others. To find out more about becoming a ministry partner, please visit our website at amazingfacts.org.